Fine and gross motor skills often take centre stage in a child’s development. New parents quickly learn that from grasping to crawling, to walking, running and playing with toys, each day with baby is filled with motor activity. Parents, teachers and therapists will find helpful the following information on fine and gross motor skills, including Dyspraxia. 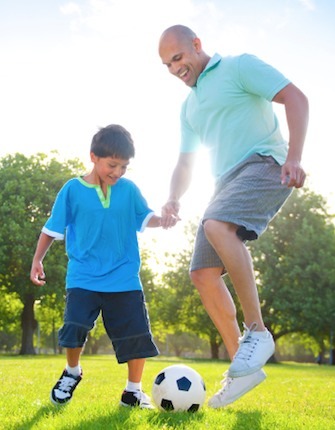 Gross motor movements come from large muscles and include whole body movement. Gross motor skills develop in infancy and early childhood. 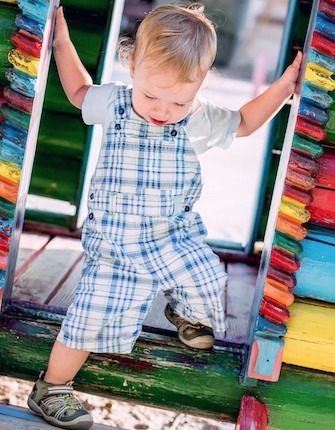 Young children learn gross motor activities such as standing, walking, climbing stairs and running and become skilled in these movements with practice, practice, and more practice! Gross motor skills continue to become refined throughout childhood and skill enhancement continues into adulthood. Fine motor skills also develop in infancy and early childhood. Fine motor movements are small and require coordination of the thumb, fingers and hand. Young children develop grasp patterns and manual dexterity by manipulating small objects and toys. Fine motor skills continue to develop and become refined throughout childhood and into adulthood. For example, learning a musical instrument, handwriting, typing, or practicing a hobby that requires hand and finger dexterity all contribute to refining fine motor skills. Children with dyspraxia (also known as developmental coordination disorder or DCD) are most often described as being clumsy or awkward by their parents, teachers or peers. Children with DCD or dyspraxia have difficulty with simple motor activities. Simple motor activities include both gross motor skills like climbing stairs and fine motor skills like tying shoe laces. It is important to note that children learn gross and fine motor skills at specific ages and developmental stages. Learning age-appropriate motor skills can be a challenge for children. While some have difficulty with gross motor skills only, others struggle to master fine motor skills and still others have mixed motor skills difficulties. Motor skills disorders like dyspraxia or DCD are not related to intelligence. Children with dyspraxia or DCD have normal and even above average intelligence. That being said, motor coordination skills deficits can negatively affect a child’s abilities in school, academic learning, social skills and emotions. With almost two decades’ experience as an Occupational Therapist helping children and teens who have dyspraxia or developmental coordination disorder (DSD), as well as children with a developmental disability or those who just struggle with their motor skills, I’m sharing my own best practices and lessons learned. Children- from toddlers to teens- need to spend time every day developing and mastering the ability to move with ease and purpose. And the more fun, the better! All About Motor Skills is an eBook designed to help promote your child’s physical abilities and expand the repertoire of activities you and your child can have fun with while improving their motor skills. Each chapter is a stand-alone series of exercises and guidelines to help you and your child. You will find dozens of ideas in the following chapters, each validated in our occupational therapy practice. Chapter 1: What is Praxis? If you could look over the shoulder of an Occupational Therapist as they work with children who have gross and fine motor challenges, you would find that many of the exercises and recommendations given are also contained in All About Motor Skills. In this eBook, I’ve distilled my 20 years of experience as an Occupational Therapist to help parents, caregivers and teachers understand, learn and implement the same exercises we use every day to help children who are challenged in their motor abilities. I strongly believe that if you follow the advice in All About Motor Skills, you’ll see your child’s motor abilities improve. And with that improvement you’ll see an increase in your child’s confidence and self-esteem.